Fundamental Right – now-a-days news channel anchors and editorial writers can’t complete a sentence without uttering these two words at least once. What is fundamental right? Is it the right enshrined in constitution? Most of us say yes. I too say yes, but I also believe fundamental right is more than what simply mentioned in constitution. It is right which I have, and which no one can take away from me in a modern society which rely more on values than on force to maintain social cohesion. I am a vegetarian by choice. Neither parents, religion nor society forced me to become a vegetarian. I am free to switch to non-vegetarianism whenever I want. One can say vegetarianism or non-vegetarianism is good or bad. But it’s a never ending argument, I am not interested in that, it’s my choice, it’s my right. However, I don’t have the right to force my family members, friends or neighbors to become vegetarian. That is their choice, their right. So why on earth an elected government in Gujrat is thinking about declaring an entire region as vegetarian zone following a hunger strike by 200 Jain monks? This sequence of events are going on in Palitana town, coming in Bhavnagar district of Gujrat. I agree that this area is a main pilgrimage centre for Jains and a lot of their temples are located in this area. I can also understand the demand for ban of slaughter and sale of meat and eggs within some metres from temple premises. But is it fair to apply the same rule for entire town which have mixed populations? 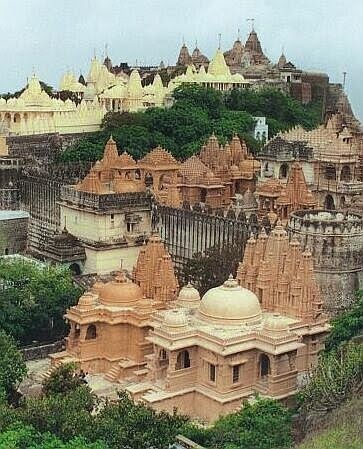 Monks in Palitana needs to rethink about their demand. It’s purely their choice to select whatever items they want to eat, but it’s not their right to forcefully convert others in to vegetarianism.